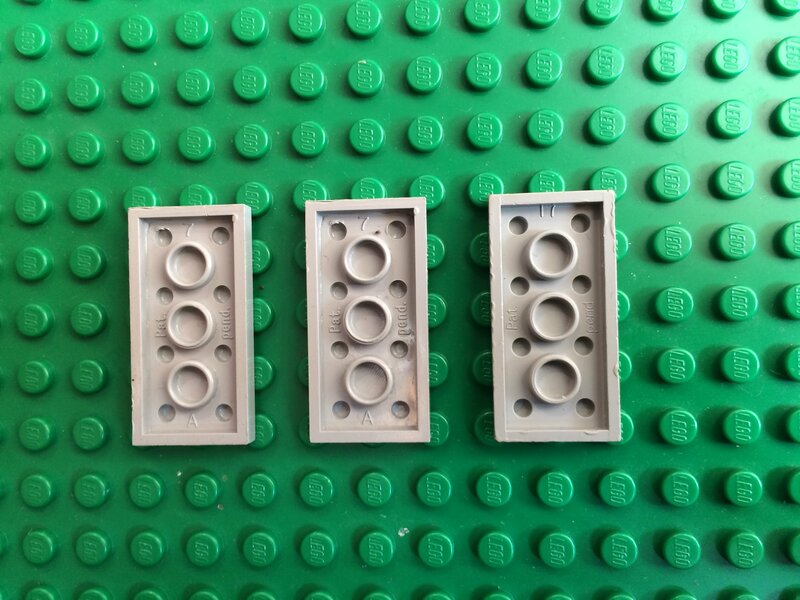 How old are these Lego plates? I came across these three plates in my pile of LEGO. They seem to have an ancient logo, but I am unable to find out the time period for this one. Can someone help? In the meantime, "Pat pend" means pre-1974. That logo was only used by Samsonite, who was licensed to produce/distribute Lego in the US and Canada starting about 1961. The US license ended in the early 70s, while the Canadian license lasted until the mid 80s. Nice specimens. Light gray and green were only used for small plates during that period, and they aren't so easy to come by. i have some red and white 2x4 bricks that have this logo. I found a batch of Samsonite bricks a while back as well, also had one of the Logos at a bit of a jaunty angle! Bit of warping on some of them, too. Are the studs on the right plate taller than usual? Remember Isotg mentioning that they were sometimes taller from retooling the molds. This style of logo is from the 60s. Samsonite had mostly moved away from the by the late 60s. But they could still be found in sets until the early 70s. Samsonite, like Lego, used everything. If these are CA the are from the eary 60s, otherwise they are from the mid 60s. If these are CA the are from the eary 60s, otherwise they are from the mid 60s. CA is cellulose acetate. It's the original plastic Lego used. Samsonite is notorious for producing low-quality parts. 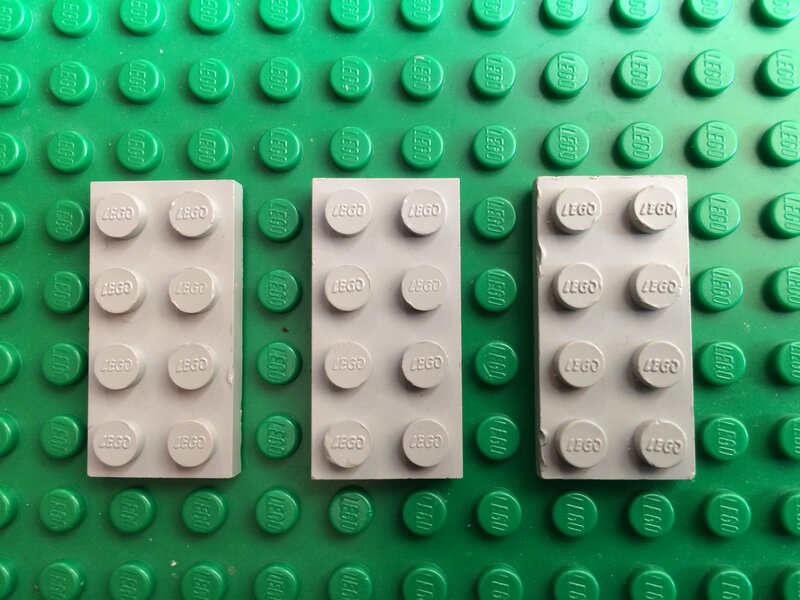 I have bricks with every stud logo rotated a different direction, or with the logo on one stud upside-down compared to the rest. I even have bricks with two logos on each stud! All up to you. These aren't that rare. The first several that you find are fun and special, but then you realize how easy they are to find. Samsonite bricks aren't common, more harder to find than rare. Last night I found 2 small plates 1x4, same color and material, but no logo. Is that even possible for LEGO bricks or are these fake? The underside is also slightly different. Will post pictures later tonight since I forgot to put them aside and they went back in the bag. In the meantime, I have found this website with a lot of info on old LEGO and clones. I will have to confirm, but these plates might be Betta Bilda, unless I find a Lego logo somewhere.